I’m excited to say that Iwo is one of our most popular designs for Spring/Summer 2014. 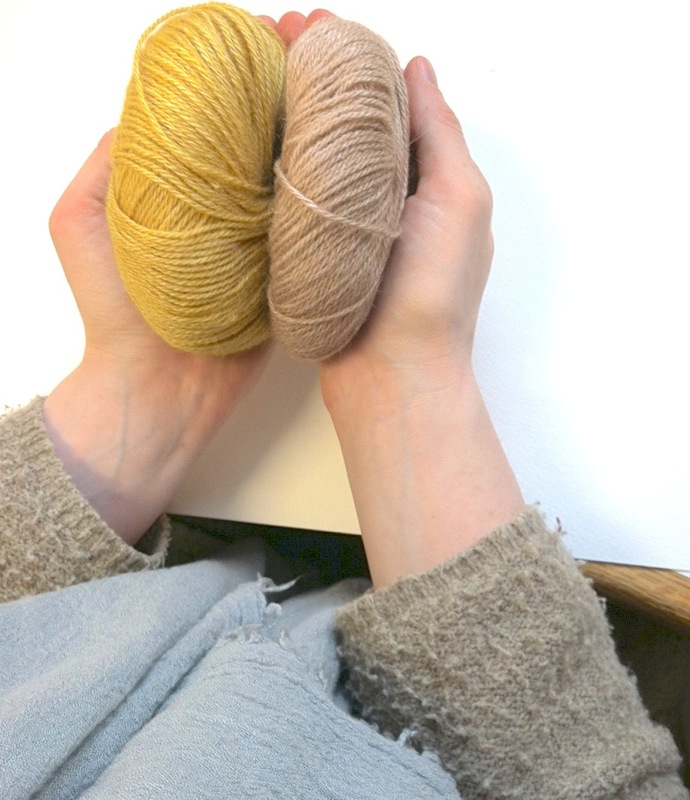 This two-tone shawl is knit in Berroco Folio which is a great trans-seasonal yarn made from alpaca and viscose. It’s so soft and light, it can work as an accessory in the spring and summer, but it’s also warm enough to keep cozy in the winter. 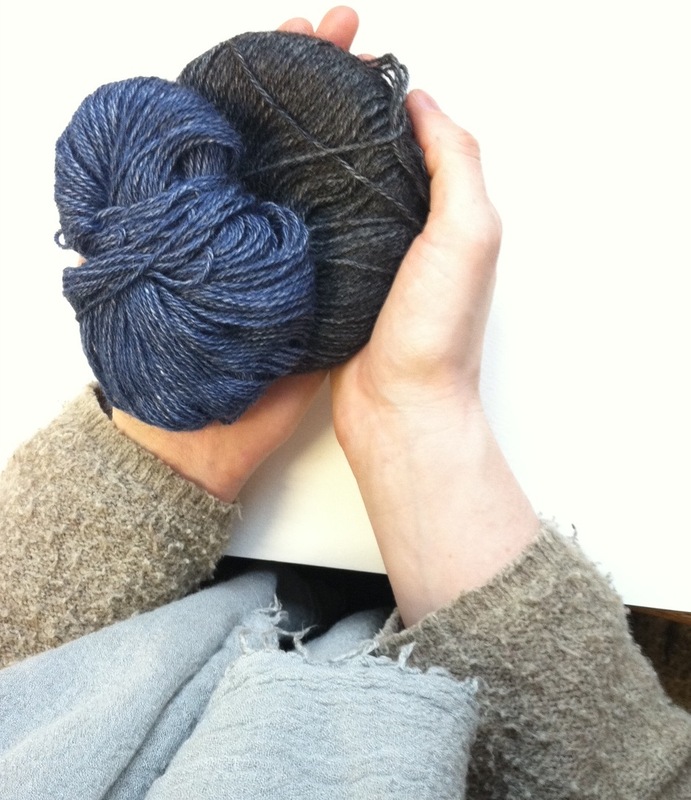 Iwo is shaped like an elongated trapazoid and can be worn as a shawl or a scarf. It is knit in stockinette with simple intarsia, alternating between two colors. The other day, our New Englad sales rep, Andra, came into the office to visit. She told me she had already knitted a few different versions. In one, she even added a third yarn for additional color and texture. It made me realize how easy it is to create and play with Iwo! Choosing different color combinations is an obvious choice. How would you customize Iwo? I like the different colors of yarn too. Have to say the instructions for this in the pattern book are not the best. There is no mention of intarsia either in the instructions or in the terms and for a beginner knitter like myself I was stumped having never cast on two colors for color blocks before. I’m going to get help from friends but just thought I would let you know. I’ve already made the enso and the Folio yarn is amazing. I’m sorry you found the instructions difficult. I am happy to hear your friends were able to assist you! I hope you are enjoying the pattern now. It is a great project for learning intarsia. I don’t understand how can start knitting iwo with a pearl row and have your dec rows end on the main color rows. Help! Your first row will be purled. Working in the color pattern established. Then work for 1″ in stockinette and end on a WS. The the RS work until the last five stitches in your row. 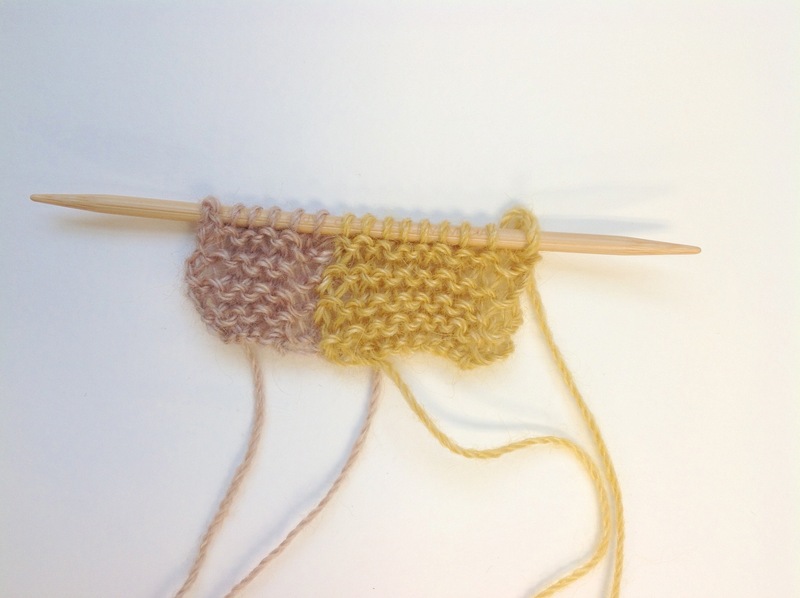 The last five stitches are in the Maine color so your decreases will be made in the main color portion of the scarf. The bottom edge curls terribly, not happy with this. What would you suggest to correct this? Also the connection of the two colors is rather sloppy looking. The edges do curl, it is the nature of stockinette. We wet-blocked this piece which helps the fabric relax and curl less. If you are still unhappy with your edging you could give applied i-cord edge a try, where you add an i-cord along the edge of your piece. I’m sorry to hear you had difficulty with the intarsia. For next time, here is a how-to video on the technique. 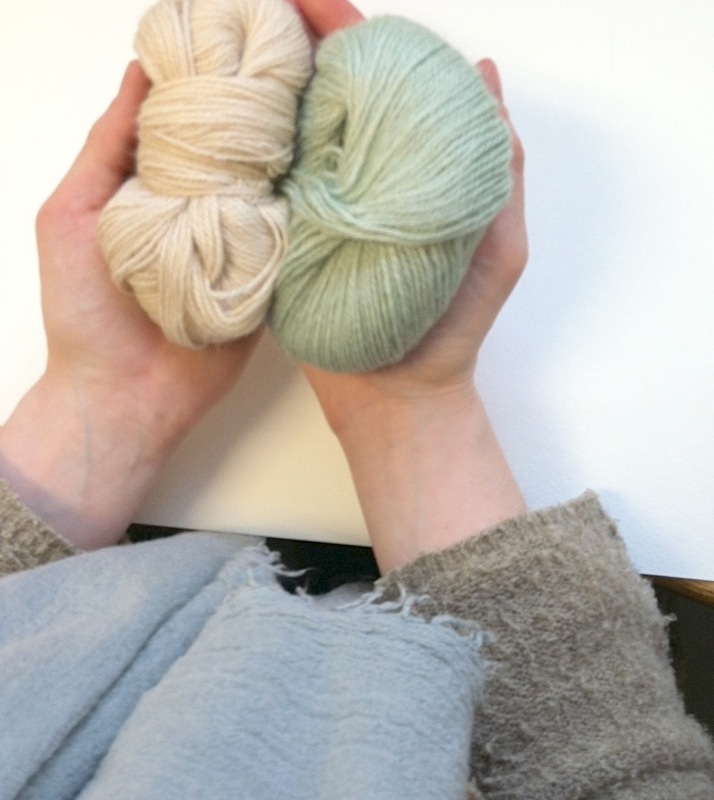 I was wondering if anyone has tried the Iwo shawl in a different stitch, perhaps seed? One that isn’t prone to curling? I saw the post about the cord edge, but would prefer a diffferent stitch. Suggestions, please! Hi Jude, To the best of our knowledge, no one has done this in a different stitch, but if you do try it with seed stitch or some other stitch pattern, we’d love to hear your thoughts on the finished fabric!